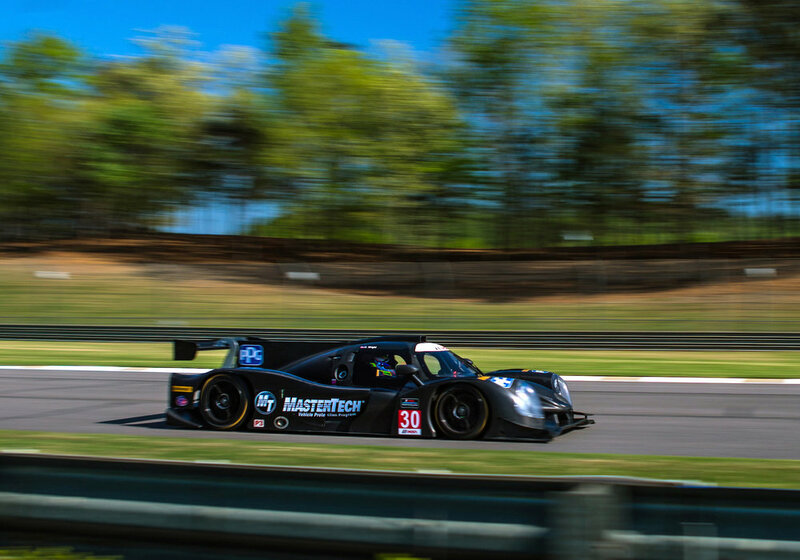 BIRMINGHAM, Ala., April 20, 2018 - Kris Wright entered this weekend’s IMSA Prototype Challenge Presented by Mazda race at Barber Motorsports Park looking to move into the series points lead after back-to-back podium finishes to start the season. He’ll be in a good position to do just that earning the pole for Saturday’s race and stealing it from his closest competition in the series standings for good measure. Wright turned a lap of 1 minute, 20.302 seconds (103.110 mph) in the No. 30 Extreme Speed Motorsports Ligier JS P3 he will co-drive Saturday with Yann Clairay, taking the top spot from series points leader Austin McCusker. The 15-minute session was slowed by a red flag before Wright turned in his flyer in the final minute, grabbing the top spot by 0.627 seconds from McCusker who was seeking his third consecutive pole this season. The one hour and 45-minute IMSA Prototype Challenge race will run from 5:35-7:20 p.m. ET on Saturday. Watch it live on IMSA.tv.